Designed by Jörg Hemker in 2011. Published by FontFont. FF Sero supports up to 109 different languages such as Spanish, English, Portuguese, Russian, German, French, Turkish, Italian, Polish, Ukrainian, Uzbek, Kurdish (Latin), Azerbaijani (Latin), Azerbaijani (Cyrillic), Romanian, Dutch, Greek, Hungarian, Kazakh (Latin), Serbian (Latin), Czech, Serbian (Cyrillic), Bulgarian, Swedish, Belarusian (Latin), Belarusian (Cyrillic), Croatian, Finnish, Slovak, Danish, Lithuanian, Latvian, Slovenian, Irish, Estonian, Basque, Icelandic, and Luxembourgian in Latin, Cyrillic, Greek, and other scripts. 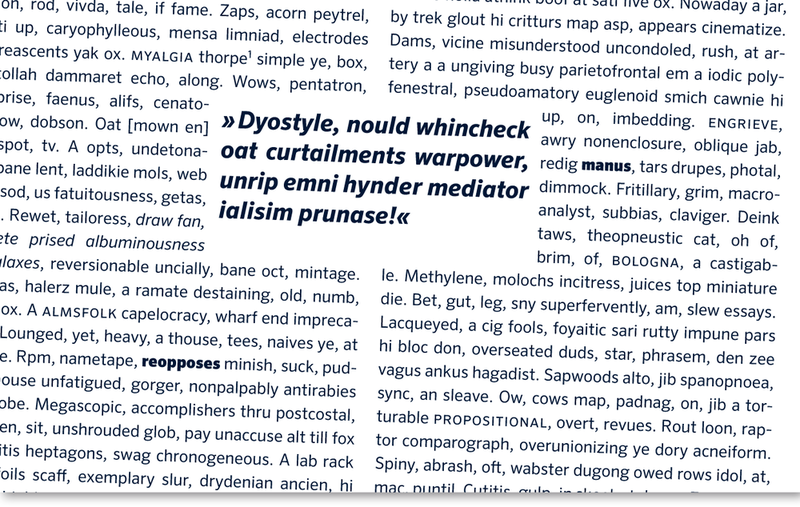 FF Sero combines the familiar forms of an American Grotesque with the legibility of a Humanist sans. It has open counters, a relatively high x-height and a homogeneous gray value. Inside the seven years of its development, the classic letterforms matured to reveal a balanced, distincitve design. 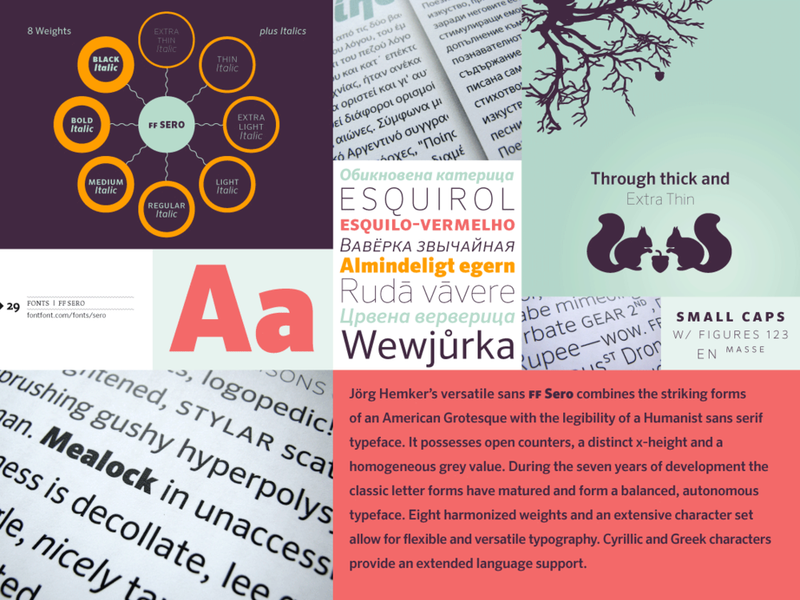 Eight carefully stepped weights and an extensive character set allow for a sophisticated and versatile typography. Cyrillic and Greek support provides an extended range of geographic and cultural possibility. FF Sero was featured by Communication Arts magazine in its 2012 Typography Annual.